#ProductReview: Would you like to try the Delicious Sweet Snack by Rudolph’s? Warmer days are right around the corner, family picnics, campings, and more outdoor activities are soon to be popular. Because we want to enjoy the nature’s warm weather, we are determined to plan for outdoor activities with our family or friends along with us. We get so thrilled that we even have listed them down so we don’t miss a thing during the said events. As a mother, one of our anxieties is to ensure that our family has still healthier meals and snacks even when we are in the wilderness. However, sometimes it isn’t back to try a delicious sweet snack during our outdoor activity. Just like for example including in your snack lists would be the new, well for me, I would say it is new as it’s just recently that I’ve gotten the chance to try the product. The Rudolph’s Cinnamon Twists, multigrain sweet churros can be found at your Dollar Store across the country. It has a Zero G Trans fat per serving, light snack with the perfect blend of sugar and warm cinnamon. I’m sure most of us love Cinnamon and also cinnamon flavor is indeed good for you, good source of fiber I believe. For those who are counting their calories like me, I believe that per serving would definitely satisfy my craving, as for 20 pieces it’s only 140 calories. Just for your information, the product contains wheat ingredients and this product was produced on equipment that also produces products containing soy. 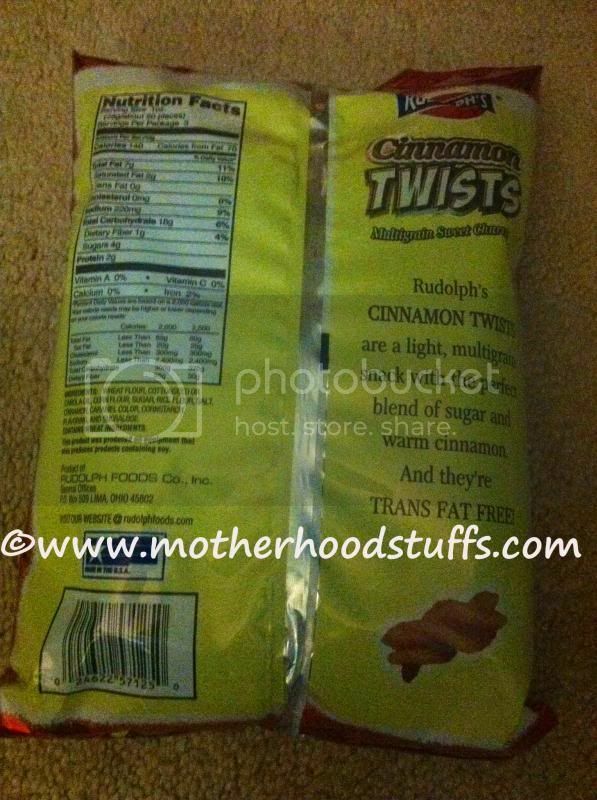 My overall experience with Rudolph’s Cinnamon Twists snack is amazing, I have a nice snack to bring wherever my family and I decides to have our outside activity. Very handy, not in a huge bag, but also enough to bring for a good snack. Made in the U.S.A, check out the nearest Dollar Store in your area or simply locate a store nearby at Store Locator. You can always visit their website to see more of the products they carry or if you want to try a fun and delicious recipes, please visit here. A disclaimer: This is NOT a sponsored post. I received the Rudolph foods product for free in exchange of my honesty review. The outlook I expressed is 100% exclusively mine. oh, that looks good! I want to try one. Thanks for sharing their website! 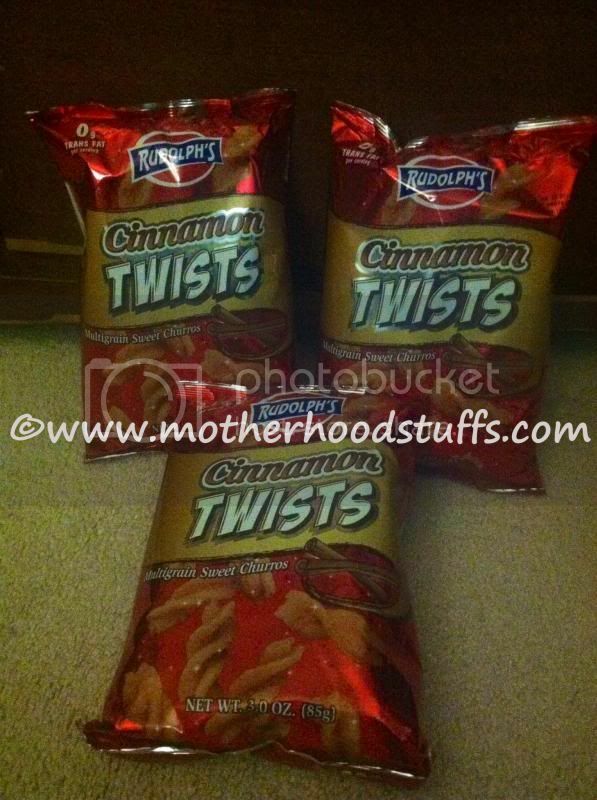 I'm not a big fan of cinnamon but after reading your review, it makes me want to grab a bag of cinnamon twist, too. Looking so nice and delish! I do not particularly like cinnamon but there's no harm to try it especially when it's free. LOL! I am not so sure if this foodie is available in our local stores. But seems yummy naman. Anything with cinnamon is ALWAYS good. Apple pie, coffee, bread, anything. I love it for its health benefits too. Good find you got there! But I would like to test if it's good. I don't know if it's available here in Cebu. im such a fan of cinnamon so no second thought of trying this. Inggit ako, dami mong snacks hehehe. Sounds like a nice treat! Good thing that it's still a healthy snack considering the calories are low! But your pictures seems so dark.. Hmmm..
Will find that sweet snack! Is that available in PH?